Existing legislation allows members of the public to claim a route that has been dedicated as a public right of way if it has been used continuously for 20 years without permission. 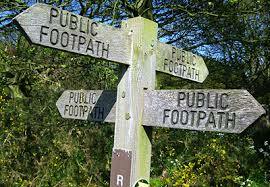 The Highways Act 1980 31(6) allows landowners to register all definitive rights of way across their land at a point in time, to negate any claim for a new public right of way. The regulations changed in October 2013 and there is a new prescribed form which must be completed for any new Statements or Deposits, in addition to fees being charged by the Authority and public notices being displayed on the land. Any Statement or Declaration submitted by the landowner under the Act prior to the 1st October 2013 was valid for 10 years and must be followed by a further Declaration within a 10 year period. However, on 1st October 2013 the period was extended to 20 years, therefore if you now submit a Declaration it will be valid for 20 years. There is also an opportunity for land owners to make a ‘statement of use’ to prevent their land being registered as a Town or Village Green, provided they are deposited before there has been 20 years of continuous recreational use of the land. ← Changes to Mortgage Rules – Will they Affect You?